Living beyond the walls of your home outdoors can oh so "fabulous". This great family in residential Cheshire just became the "go to" for Outdoor living amongst their children's friends and family. The design at hand SUBURBAN SPLENDOR captured all the needs of family for small gatherings and intimate dining amongst friends. What they didn't realize is that the remote 400,000 BTU burning fireplace was featured accoutrement on the menu for spending endless hours outdoors. The wall switch inside enables the fire pit to ignite and "walla" friends and family gather around sitting in uniquely hand crafted rockers made out of whiskey barrels. A great way to create culinary, conversation food become fun outdoors. 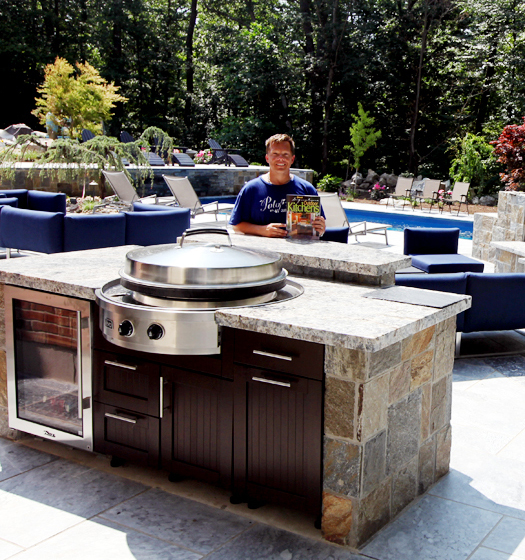 Michael Gotowala Outdoor Kitchen designer and founder of THE OUTDOOR KITCHEN DESIGN STORE by PREFERRED PROPERTIES shows us signs of OUTDOOR LIVING FABULOUSLY with the surrounding neighbors in this CHESHIRE, CT. residential splendor. 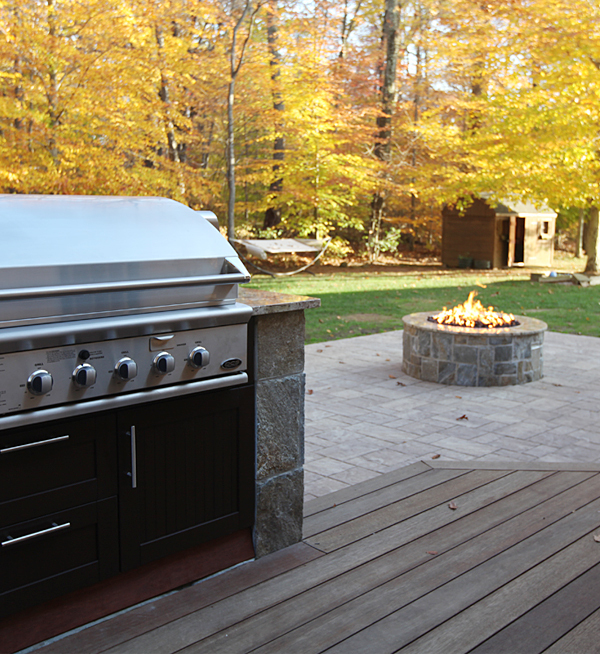 Remote controlled fire pit with granite surround, Outdoor kitchen island with DCS grill, new mahogany deck, Brown Jordan's outdoor cabinetry all part of THE OUTDOOR KITCHEN DESIGN STORE by PREFERRED PROPERTIES. ALL you need to do is pull up a chair. 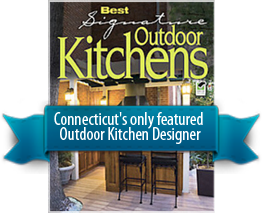 Michael Gotowala Outdoor Kitchen designer and founder of THE OUTDOOR KITCHEN DESIGN STORE by PREFERRED PROPERTIES shows us signs of OUTDOOR LIVING FABULOUSLY with the surrounding neighbors in this CHESHIRE, CT.